New form will appear where you have to enter SharePoint URL and user credentials plus to chose what SharePoint authentication mode is to be used. More details about SharePoint authentication modes can be found HERE. 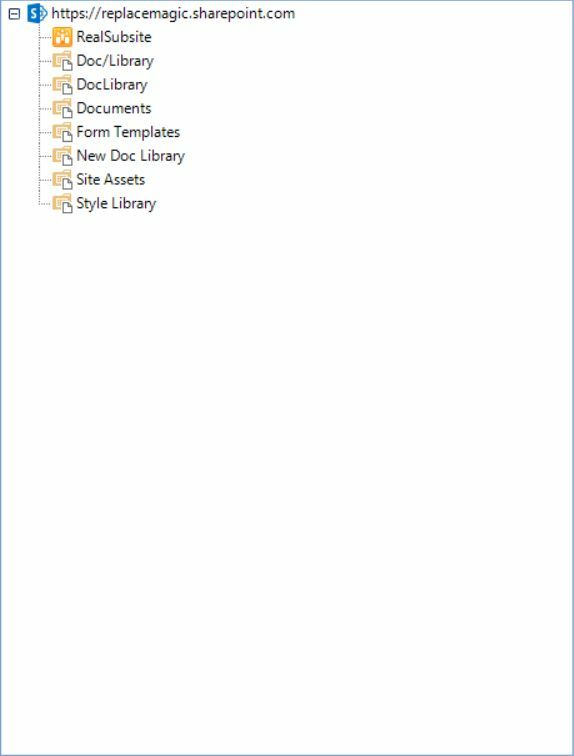 When you are happy with selection click on OK and ReplaceMagic will know where to search for your documents in SharePoint. IMPORTANT: If you want that we keep SharePoint document properties like last access date, author or editor you will need to use native SharePoint integration. Also you might have SharePoint setup that check-out/check-in is required to access/process documents stored on SharePoint and, yes, ReplaceMagic can do that. 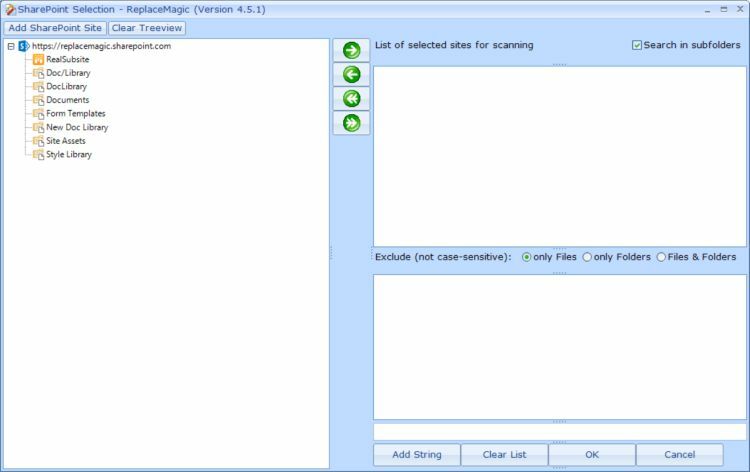 If you check click here for ReplaceMagic Configuration you can find more infos. Second possible scenario is that some users checked-out documents but forgot to check them in. Normally those documents cannot be processed but you can instruct ReplaceMagic to do force check-in so that we can make changes in those documents also. As you can see ReplaceMagic is very powerful when it goes to processing of documents on SharePoint.